Mary Hamrick, M.A., CCC-SLP, is a speech language pathologist who has been evaluating and providing direct service to students with special needs for more than 20 years. She is currently the director of speech for School Steps Inc. which is located in the Sacramento area. School Steps provides school based speech and occupational therapists to surrounding school districts and has a clinic in Rocklin, California. 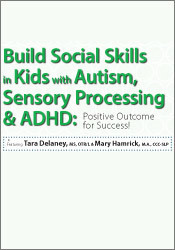 She is also the co-author, with Tara Delaney, of Building Social Skills for Autism, Sensory Processing Disorders and Learning Disabilities (PESI, 2015). 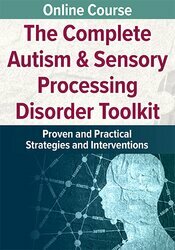 Mary began her career in education as a language arts teacher and has spent the past 20 years working primarily with children with Autism, Aspergers and specific learning disabilities. She has a B.S. in Education from Western Illinois University and an M.A. in Speech Language Pathology from California State University, Long Beach. Mary is an accredited member of the American Speech Hearing Association (ASHA) and holds a California license in Speech Pathology. Her current interest is working with socially limited students by analyzing social interaction and its implications for school and overall success. Financial: Mary C. Hamrick is the Director of Speech Therapy for School Steps, Inc. She is an author for PESI Publishing & Media and receives royalties. She receives a speaking honorarium from PESI, Inc.
Nonfinancial: Mary C. Hamrick is a member of the American Speech-Language-Hearing Association.